WOW! was honored to have guest judge literary agent Eve Porinchak choose the summer season’s top winners. Thank you, Eve, for sharing your time and efforts to make these contestants’ dreams come true! Eve graduated from UCLA with a Bachelor’s degree in Psycho-Biology. She earned a degree in Early Childhood Education and also attended medical school, anticipating a career in Pediatrics, but decided she loved sleep and creative outlets too much to continue doctoring (not to mention those white lab coats—such a fashion DON’T). Eve has always worked with children in some capacity. She has taught preschool, Kindergarten, and First Grade, was a foster care case manager in Vermont and court-appointed Guardian ad Litem, currently teaches creative writing to incarcerated teens in Los Angeles, and serves as an aid worker in Tijuana orphanages. A writer and active member of SCBWI for 12 years, Eve interned at the Jill Corcoran Literary Agency where she was recently promoted to Agent. Books I Wish I had Represented: YOU SHALL KNOW OUR VELOCITY! by Dave Eggers, THE OUTSIDERS by S.E. Hinton, TRUE NOTEBOOKS by Mark Salzman. Favorite Movies: The Breakfast Club (Pure brilliance! ), The Blue Lagoon (Don't judge), Kings of Summer. Dream Job: Quality Control Tester at Cinnabon. Death Row Meal: Anything cake related; cupcakes, bundt cake, ice cream cake (Oooh...baked Alaska and chocolate soufflé—they take forever to make and, thus, my fate will be delayed a bit). Likes: Books, movies, running, golf, tennis, travel, cupcakes, puppies, cows that run. * If interested in querying Eve Porinchak of JCLA, please submit a brief cover letter with short bio and synopsis, and the first 10 pages to eve[at]Jillcorcoranliteraryagency[dot]com. 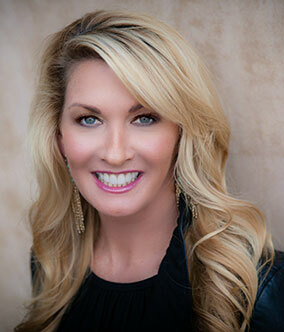 Visit the Jill Corcoran Literary Agency: http://jillcorcoranliteraryagency.com. Jeannie Waldridge is originally from the small town of Harrodsburg, Kentucky but has lived in Louisville, Kentucky for the last 15 years. 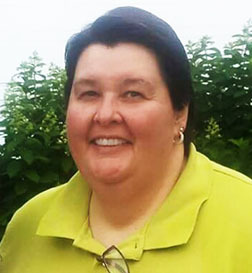 She is a Certified Alcohol and Drug Counselor who currently supervises Substance Abuse Treatment Programs for the Department of Corrections. Jeannie has had a lifelong passion for humorous story-telling and is beginning to translate that love into her written work. There is a love for strong Southern characters who originate from small towns and love to stir up controversy. Who doesn’t want the chance to use ya’ll or reference sweet tea when they write? Jeannie recently won second place in the WOW! 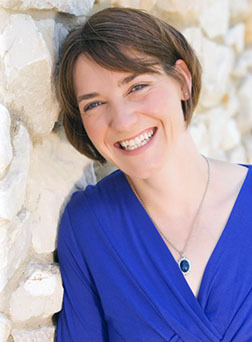 Women On Writing Winter 2015 Contest for her humorous flash story, The Church Meeting. The current submission, Serving Life on the Inside, is a bit of a departure for a humorous storyteller but a story that deserved to be told. Jeannie is greatly supported by her writing group, Women Who Write, which is based in Louisville. The members readily offer their time, expertise and encouragement to all writers from the novice to the professional. Through the writing group, Jeannie has come to accept the fact that she is a writer as long as she continues to put pen to paper. Currently, Jeannie finds that photographs make great writing prompts and inspires fabulous storytelling. The last time I saw my mama was inside the Alabama State Department of Corrections. Well, the last time I saw her in person. I was about eight-years-old and taken there by my foster mom, Arnetta and my social worker, but I can’t remember her name. At the time, it was a state rule that all children having their parental rights terminated would be allowed to visit with their parents for one hour to say their goodbyes. As long as there were no prison problems, the judge would make the social worker have the visit there in a special family room. I don’t really remember much about that day; I hadn’t seen my mother since I was a little kid. She looked much older. Her tight fitting, fancy, sparkling clothes and painted nails were traded in for loose fitting khaki pants and shirt and short trimmed fingernails. This woman had become almost unrecognizable. Before I left, she stuffed a folded piece of paper inside my jacket pocket. My eyes burned a little when my mom leaned down and kissed me on the cheek and whispered, “You’re a young lady now and young ladies don’t cry.” Her eyes were red and swollen and began to fill with tears. Walking out of those gates, I looked back and I no longer saw my mama. I simply saw State Inmate #F7322324. I promised myself that I would never return to such a horrible place and I made sure I didn’t cry. I kept my hand in my pocket and held the little piece of paper tight. Now, some people would start to feel sorry for me. You know those goodie-two-shoes white folks who are always looking for some charity case. I have never needed anyone to feel sorry for me. That social worker, she knew I was strong too. After that day at the prison, I never saw her again. I stayed at Arnetta’s house until the summer of my eighteenth birthday. Arnetta needed to make room for another foster kid so she could pay her bills. She helped me pack my bags and sent me on my way and I made sure I didn’t cry. I was the only student to arrive at college with two black garbage bags, a small canvas tote and a fading crumpled note. The holidays were usually the loneliest. I would always make sure I scheduled myself to work so I had an excuse to remain in town and in my room. My old foster mom, Arnetta was busy with her new family and her sporadic phone calls eventually stopped. From time to time, I would find myself sitting at the computer feeling sorry for myself and a little lost. I would reach for the crumpled piece of paper, go to the Alabama State Department of Corrections website and type in “Inmate #F7322324.” Looking past the graying hair and slight weight gain I would find the eyes of my mother. While looking at the screen, it has always appeared odd to me that as she remained locked up, her eyes and her spirit seemed free. In those eyes, it always felt like home. A place that said I belonged; that I have history and that somewhere I do have family. Those late nights spent staring at the computer were the closest I ever came to crying. The years passed and I eventually settled down with a nice man. He was not handsome but he was a good provider and was very loyal. We had a nice life and the days of the garbage bag luggage were long gone but still felt like yesterday. The day we found out we were pregnant was the day I was finally able to throw away the torn and tattered piece of paper. The words on the page had almost totally faded. But I could still read Alabama State Department of Corrections, Inmate #F7322324, Love Always, Mama. The rest of the words no longer mattered and I was no longer defined by my Mother’s choices, foster care or a crumpled up piece of paper. It was the happiest day of my life; and I didn’t cry. 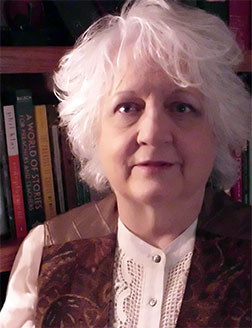 Millie Gore Lancaster, Professor Emeritus of Midwestern State University, has written several books for parents and teachers and presented papers across the US and western Europe, including academic papers on the Harry Potter canon. She has studied in the archives of Westminster Abbey, served as an Earthwatch volunteer at the Chimpazee and Human Communication Institute, and spent summers as a professional horse wrangler. Her finest hour as a teenager was having the sheriff pay a visit to her father to complain that she was being friends with the African American students at school. Her finest moment as an adult was serving as a plaintiff and expert witness on multicultural issues in a book banning lawsuit against the city of Wichita Falls (Heather Has Two Mommies and Daddy’s Roommate), an act that earned her a spot on the No Fly List as a subversive. Madeline waved her chauffeur away. She looked around. This is what life must be like for adventuresome sorts of persons, she thought. A small child came out of a bakery. She wore a giant pretzel on a red ribbon tied around her neck. Madeline went in the bakery. She ordered a giant pretzel on a ribbon. The baker laughed when Madeline slipped the pretzel around her own neck. Madeline scowled. Before today, Madeline would not have given an accordion player the time of day, much less put money in his monkey’s cup. Monkeys can bite, she thought. She did not approve of keeping a wild animal tied to a musical instrument. But she would like to see one in the wild. With her pretzel around her neck, Madeline set off to find the accordion player and the monkey. What sort of person would play an accordion and own a monkey? Madeline wondered. She had never known such a person. She decided that such a person would most certainly be the adventuresome sort. Two blocks later, she saw the accordion player. He did not have a monkey. The accordion player wore a grey beret on his greying hair that complemented the navy fisherman’s sweater on his substantial frame. Very handsome, thought Madeline. Handsome and Italian. “Where is your monkey?” she asked. “I will pay you handsomely to come home with me and play for an hour. Come along,” she commanded. She hailed a taxi. The driver blinked in surprise when Madeline gave him her address. So did the accordion player. After the accordion player finished his concert and drank a cup of tea, he left with a promise to return for lunch the following day. “Quite the contrary,” she said, “I have found it.” She held out the half-eaten pretzel. “Bite?” she asked. Charlotte watched the chalk dust swirl out from the impact of her clapping hands, wrapped and ready, so alien she might have questioned whether they answered to her at all. These hands knew so well the feel of the fly bar that supported her, balanced between life and death. The signal came from the catcher Rudy, also known as “The Flying Rodolfo,” a much more fitting name for an acrobat of his skill and showmanship. From the moment they’d met five years ago, Charlotte had been in awe of his grace. More than once his nearly inhuman strength and quick reflexes had prevented certain injury and possible death. This man was more than a Rudy. Charlotte, who was always only Charlotte, exhaled as time slowed around her. She willed her hands to once again become part of her, subjugated to her command. Her knees bent and she dipped the fly bar. With a “Hup!” she flew, muscles lengthening, body flattening, and legs stretched into a long force-out to gain the proper height. The body sailed on with little conscious effort from her. Hundreds of times, her limbs had performed these feats, twists and turns, layouts and somersaults. Only to fail. All those times air screamed past her ears and exploded out of her lungs as she sank and bounced, rebounded by the waiting net. Then hundreds, no, thousands of times again when Rodolfo’s powerful arms caught her with a firm “Gotcha,” and she dangled breathless from the catch bar only to be flung back to the fly bar and to the safety of the board and the other troupe members waiting to assist her. “When there is no net, there must always be a catch,” Rudy would say later when they made love and she fell breathless again into those powerful arms. And so they practiced. She’d been a washed-up gymnast plucked from the pile of discarded Olympic hopefuls, shut out by injury from a dream that could never come true. But Charlotte had loved the freedom of the trapeze, the terror of flight balanced by the security of knowing she could not fail. With Rodolfo’s encouragement, she rehabilitated her muscles, trained them in their new skills, and flew across the big top to gasps and applause. But this performance would be different. Word of the results had come from the doctor only two weeks before, but the time would soon arrive when she must share the news, must tell her troupe, her sweet Rudy, her brave Rodolfo, of her body’s latest act of betrayal. One routine examination, one simple test, one sure sentence of death. The news knocked Charlotte’s breath away. A crash, another failed dream, but this time with no hope of rebound. Her body would not continue to let her fly. And now it was show time and there was no net and Charlotte began to wonder. Hundreds, no thousands, of times he had caught and propelled her to safety, but what if he didn’t? She could picture it, the ease of it. All that was required of her was inaction, a slight miscalculation, because she knew, of course, what both Rodolfo and the audience who watched with rapt attention knew. When there is no net, there’s a chance there will be no catch. Another “Hup!” and she released the bar, somersaulting, her body, still supple, though riddled with disease from which no safety net or strong arms could rescue her. Charlotte felt the whoosh around her, the dizzy freedom of a final dance through the air. Rodolfo’s arms reached toward her, ready to make the catch she did not want. She straightened, long and graceful, and as she prepared to welcome instant death she watched hands, her hands, stretch in front of her, her conscious mind screaming for them to resist. They would not obey, no more than the tumor inside her lungs would have done. Rodolfo flung her. She caught the fly bar and soon the arms of her troupe were about her. Charlotte stood, offered a triumphant wave to the crowd, and wept. 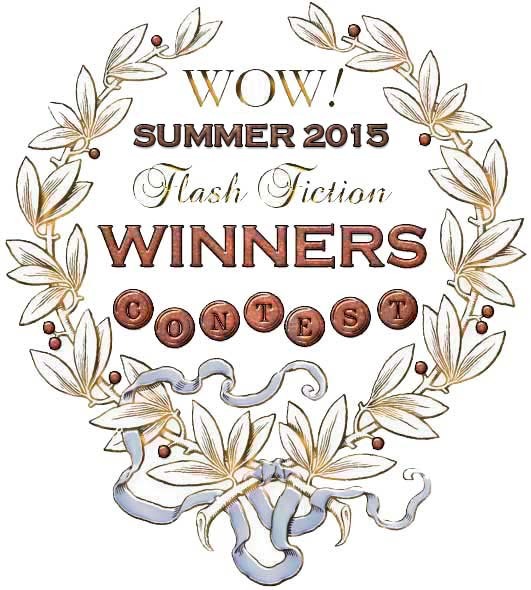 This brings our Summer 2015 Flash Fiction Contest officially to a close. Although we’re not able to send a special prize to every contestant, we will always give our heartfelt thanks for your participation and contribution, and for your part in making WOW! all that it can be. Each one of you has found the courage to enter, and that is a remarkable accomplishment in itself. We’re looking forward to receiving your entries for our next contest. Best of luck, and write on! Copyright © 2015 wow-womenonwriting.com All rights reserved.